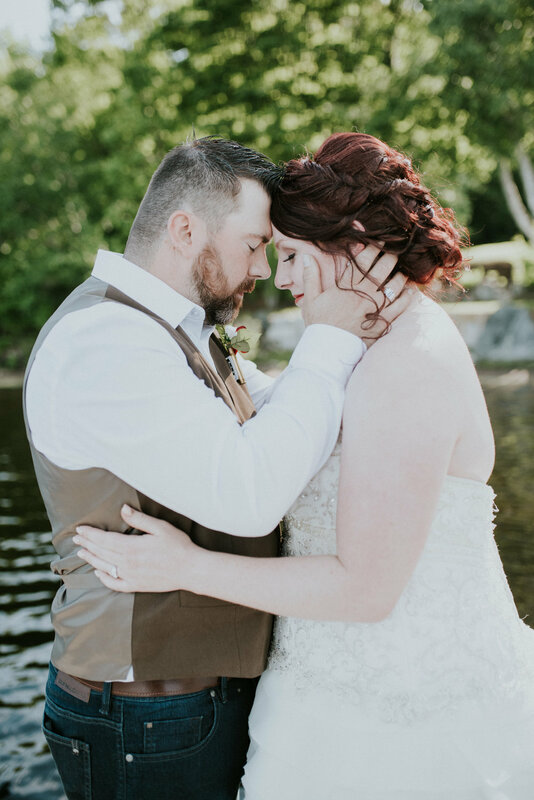 I had the honour and privilege of photographing the nuptials of Ashley and Brad on June 9, 2018. Ashley and Brad are an internet dating success story. They met online, fell in love, and the rest is history. The girls got ready at a cabin out on Kamineskeg Lake in Combermere, and then we headed out to the families hunt camp/farm for a ceremony in the woods. As with any wedding it's all about the little details. 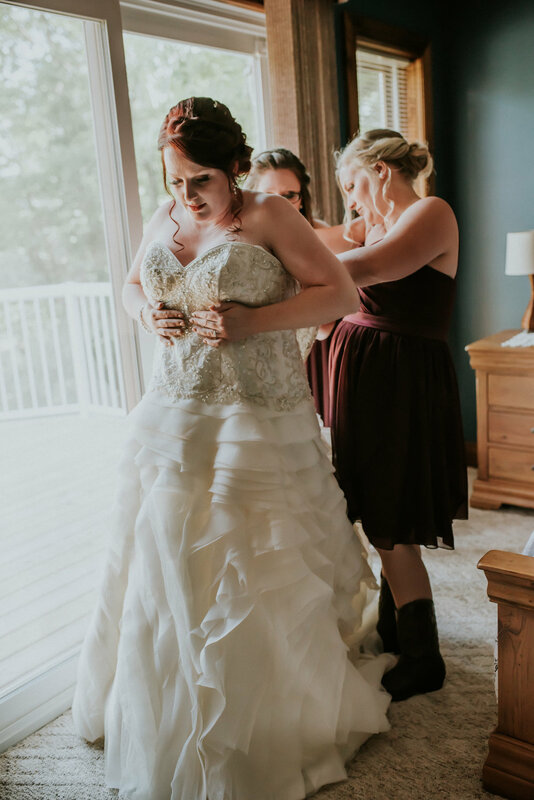 From the beautiful stairway and arch in the forest, to the custom cocktails, the smore's cart, and homemade jam for each and every guest. The day was full of love, laughter and so much joy. Ashley and Brad I wish you all the best as you begin this new life adventure. 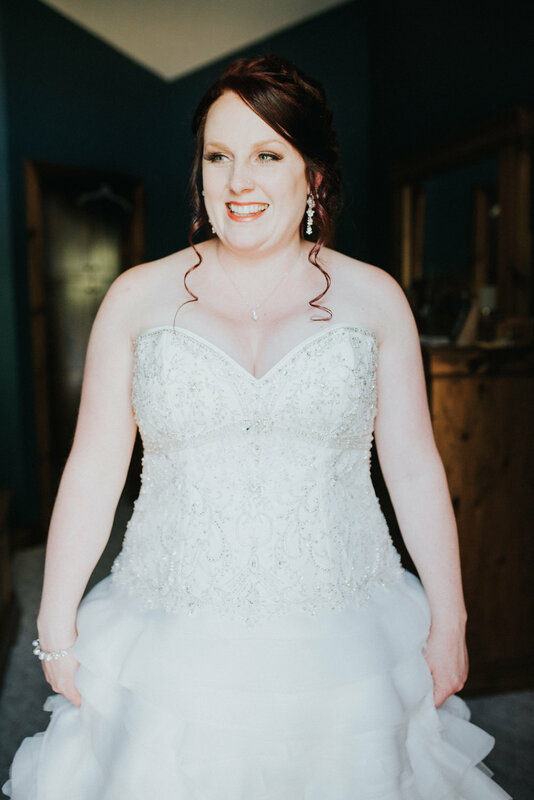 One of my favourite things about wedding day is the JOY!!!! Everyone is happy. Finally a quiet moment to breathe each other in. And bring on the most fun reception I've been to yet!! Firstly, an introduction. If you don't know me, my name is Maureen. I live in a little village in the middle of nowhere in Eastern Ontario, Canada. I'm blessed with two beautiful daughters, two unruly pugs and one wonderful fiance. I'm currently in "leap of faith" mode, as I recently quit my job of nearly 20 years to go to college. I've had an interesting life so far, and have been blessed with many opportunities. I've owned a hemp store, was an old country music radio DJ, travelled, had a semi successful children's craft blog, wrote posts for the CBC, worked with developmentally disabled adults and in paliative care, played guitar and wrote music, and have accumulated a wild collection of gnomes, toadstools and friends. My girls! Can you spot my youngest? My photography business happened accidentally. I've always loved taking photos, and I even had a darkroom in my early 20's and was obsessed with developing film and taking "art" photos. It wasn't until a neighbour requested family photos three years ago that Gal Capone was born. For the past three years I've been out in the community photographing families, couples, babies, adventures, businesses and events. Now in my third year of business, I'm getting more focused on what aspects of it I love, and what just doesn't work. I can't tell you what an honour it has been to document some of the most amazing moments of people's lives. I've been doing this long enough that I now get repeat customers and get to see how families have grown. I love taking photos, interacting with clients and capturing the JOY that make up your lives. To say I feel blessed is an understatement. In the next year, I will be slowly finishing out my 2018 wedding season, and will be focusing my business on families, kids, couples, events and brands which is where my heart is. This blog will be a space where I will share my current work, some musings and even some advice for other photographers. Thank you for visiting, I look forward to your feedback, support and love. Check out the CONTACT section if you are interested in booking a session.